There are a couple of product-related tragedies that are par for the course when you're a beauty hoarder. For instance, shattered compacts of bronzer and blush immediately come to mind, a discontinued signature lip color you've been wearing for years, or a confiscated *full-size* dry shampoo you were 100% convinced you'd be able to sneak past TSA. RIP. However, there's another major beauty bummer that ceaselessly haunts us: goopy nail polish. Since one too many of our favorite nail polishes have kicked the bucket, we've morphed into polish lovers on a mission. The question: What's the trick to thinning out nail polishes à la our favorite nail salons, and what can we do to prevent (or at least postpone) the inevitable demise for as long as humanly possible? Determined to get some answers, we reached out to some of the best nail salons in the business to learn their tips and tricks on the matter. Ahead: How to thin out your nail polish like a pro. Keep reading—your favorite shade of red depends on it! According to Jin Soon Choi (editorial manicurist and founder of JinSoon Spas and JinSoon Nail Lacquer), one of the best ways to thin out nail polish is to invest in a bottle of nail polish thinner (we say "invest," but most formulas are usually $10 and under). "First, add just a couple of drops directly to the polish. To mix, roll the bottle between your palms and avoid shaking, which can cause air bubbles to form." Though proper storage is key, (a dark, cool closet is great), celebrity manicurist and general manager of Base Coat Nail Salon Shelly Hill says her "go-to" method for thinning out nail polish is a drop of pure acetone. "Just like polish thinners, it's critical to only use one drop of pure acetone in your bottle of nail polish. Shake well, and if the polish is still too thick, add one more drop. The 'less is more' approach is important to remember—if too much is used, the acetone will break down the makeup of the polish, which will actually lessen its lifespan." 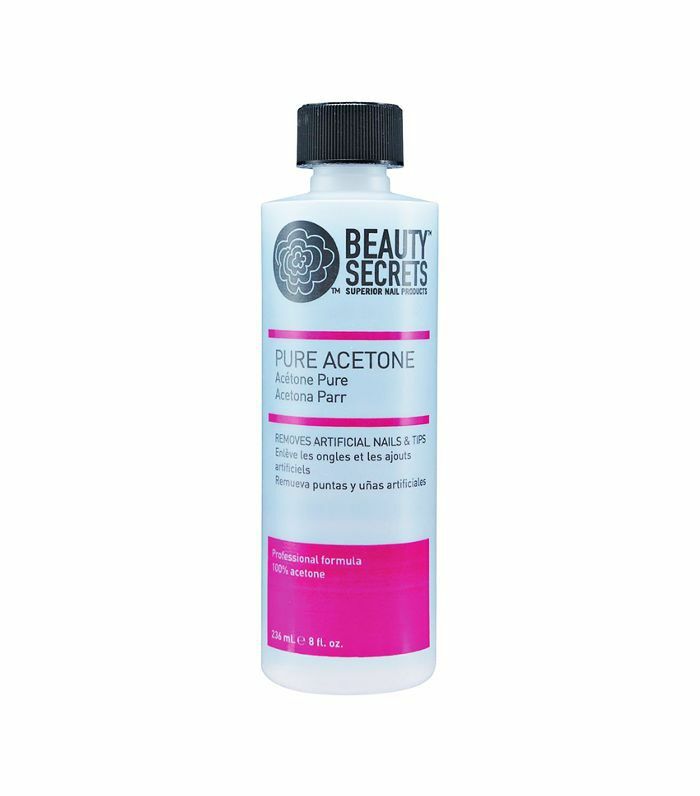 Though pure acetone solutions and nail thinners are effective—they're a salon go-to for a reason—they also come with their own host of problems and can do your nails more harm than good in the long run (think brittleness, peeling, splitting, and breakage). So if going the nontoxic route is more your M.O., we reached out to the co-founder of côte salon, Mary Lennon, to learn about the salon's philosophy on how to thin out nail polish. The verdict: Prevent it from happening altogether. "At côte, our strategy regarding thick and goopy polish is to make sure it never gets there to begin with. Taking care to follow a few easy steps will ensure that your polish will last longer, keep its color, and avoid getting too thick." 2. Never keep your polish near a source of heat. 3. Keep your polish away from direct sunlight. 4. Avoid storing your bottles in the bathroom—thanks to those long hot showers, the temperature is constantly fluctuating, and humidity can bode badly for your polish's longevity. 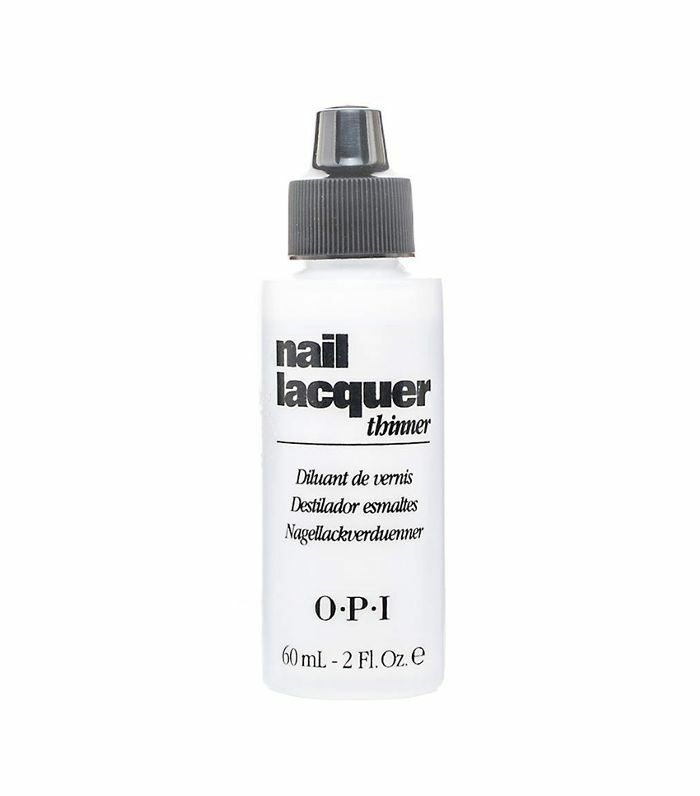 According to Sarah Gibson Tuttle, founder of Olive & June, products like nail thinners can help lengthen the longevity of your favorite polishes. Eventually, however, you'll have to make peace with your goodbye and just say sayonara. "Really, it's best to just toss out the bottles that start to get too sludge-y. After all, polish has a shelf life just like makeup. To keep track, try labeling the bottle to remember when you bought it. Then, to preserve your nail polish for as long as possible, make sure to close the bottle between coats. It's when that air hits polish that it will start to thicken."